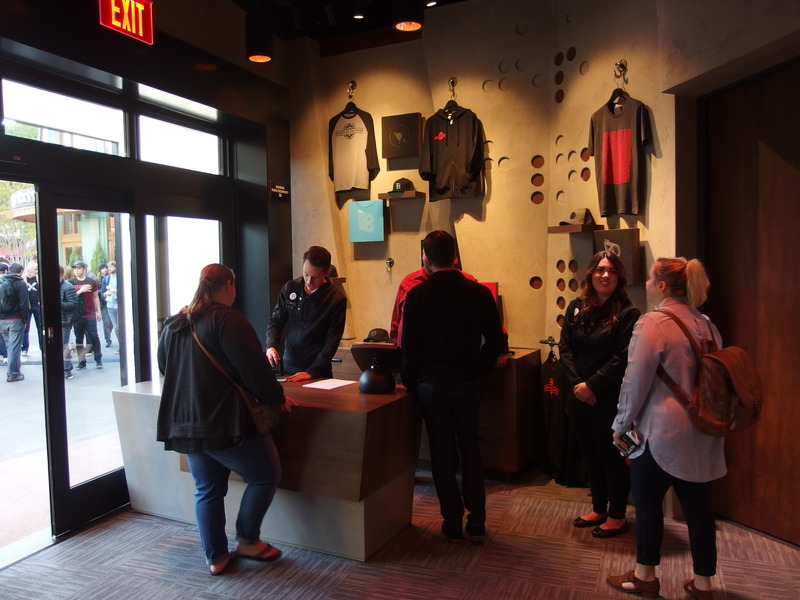 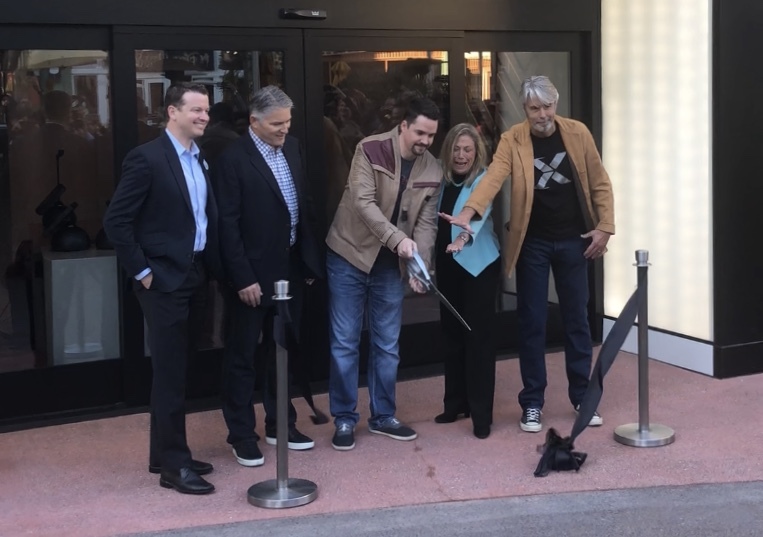 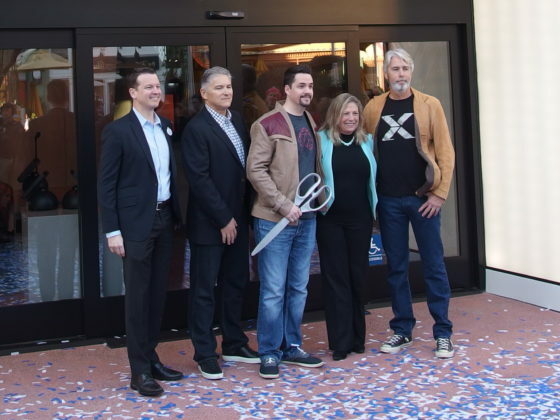 Downtown Disney Anaheim welcomed a new guest experience on Friday, January 5th. 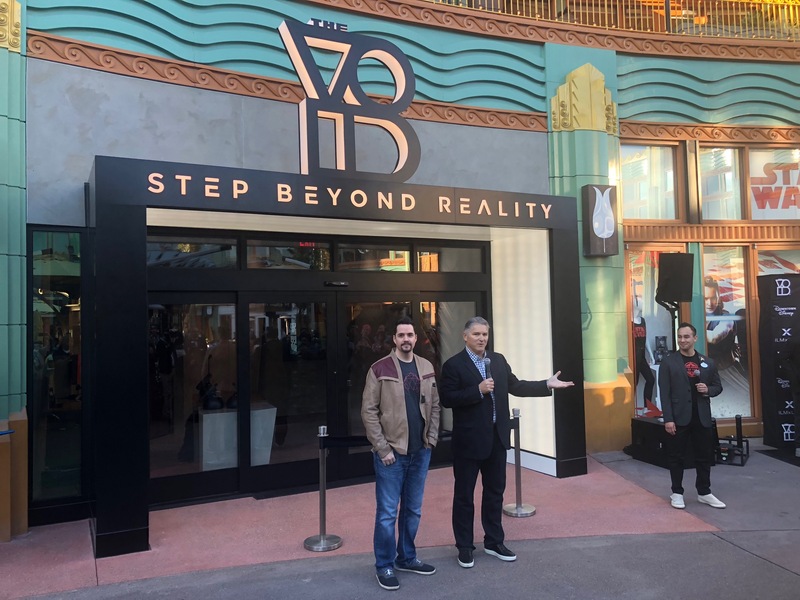 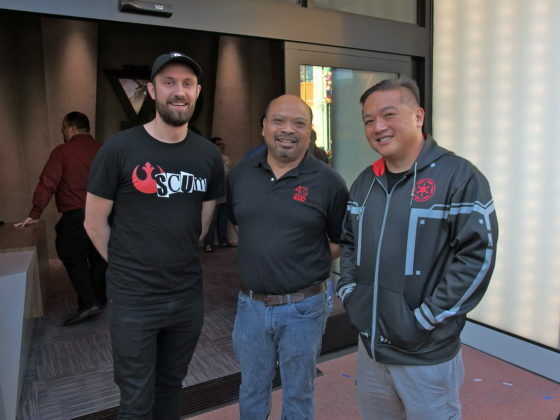 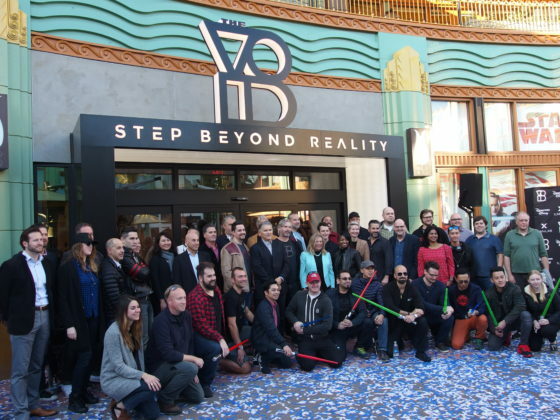 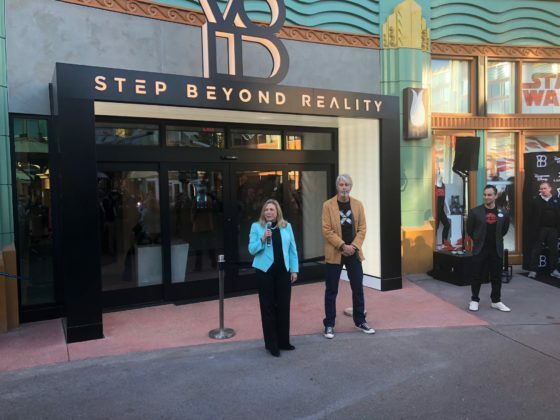 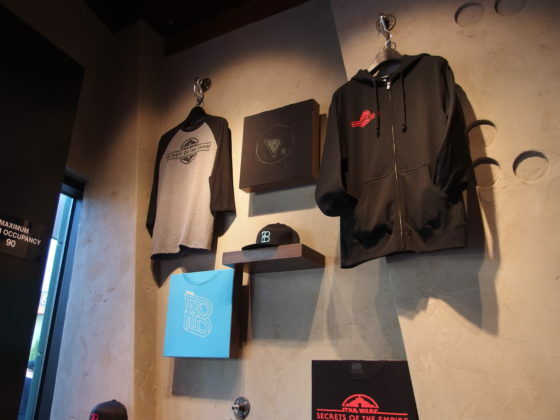 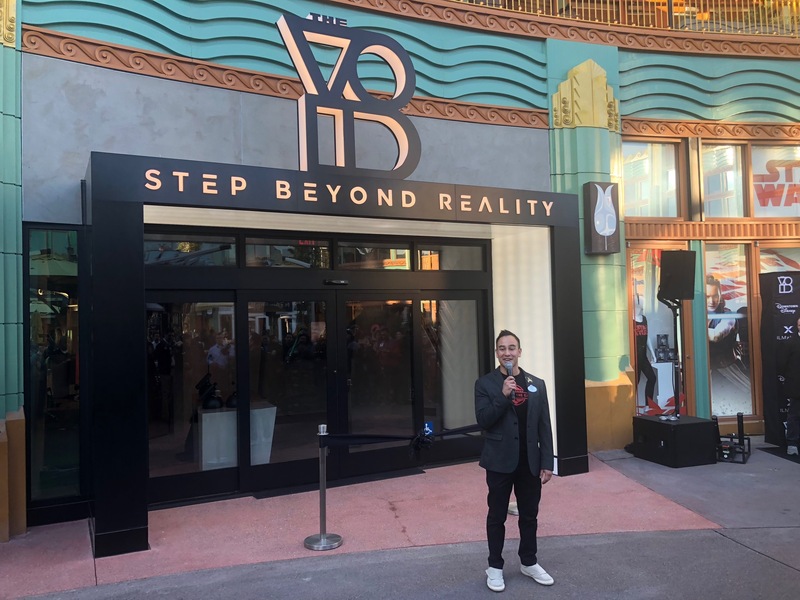 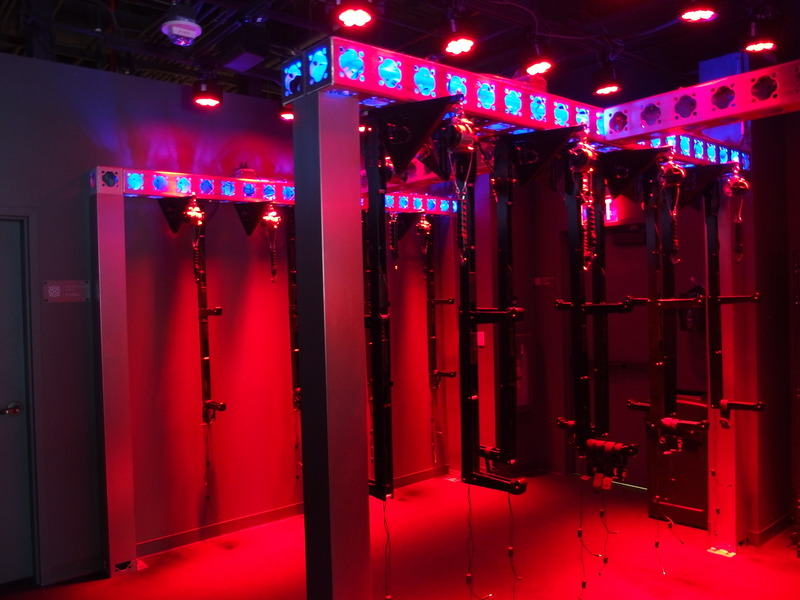 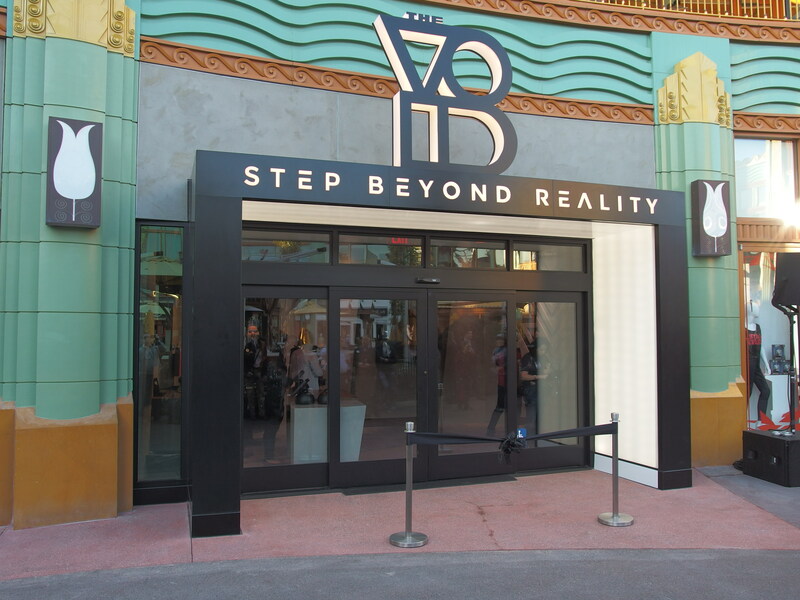 The VOID debuted the west coast version of the hyper-reality adventure Star Wars: Secrets of the Empire that is already open at Disney Springs in Orlando. 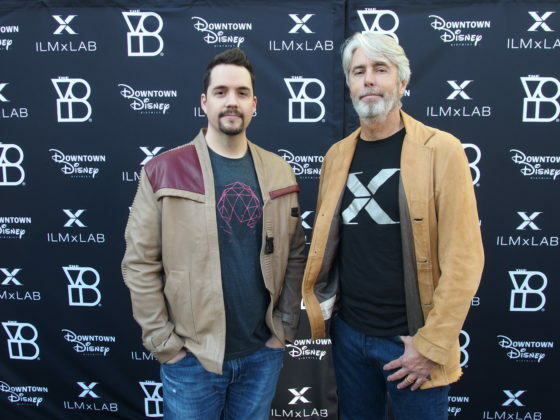 The attraction is a joint venture of ILMxLAB and Utah based The VOID. 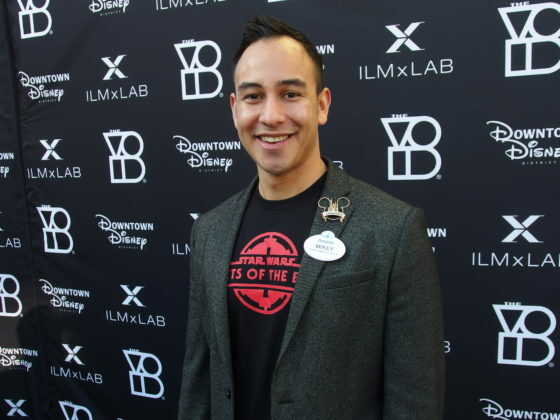 Hosting the ceremony was Disneyland Ambassador Mikey Trujillo. 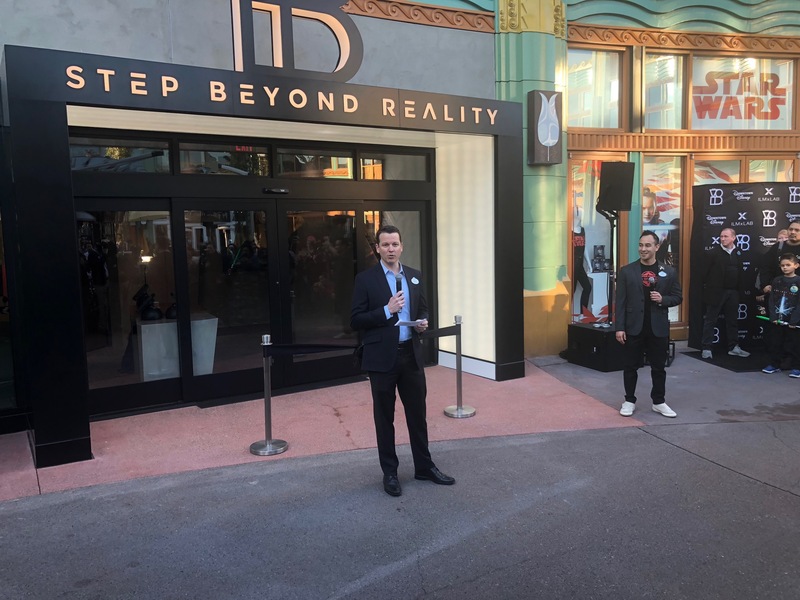 Welcoming The VOID to Downtown Disney was Director Todd Bennett. Executive in Charge Vicki Dobbs Beck and Executive Creative Producer Mark Miller shared perspectives from ILMxLAB, part of Industrial Light and Magic in San Francisco. 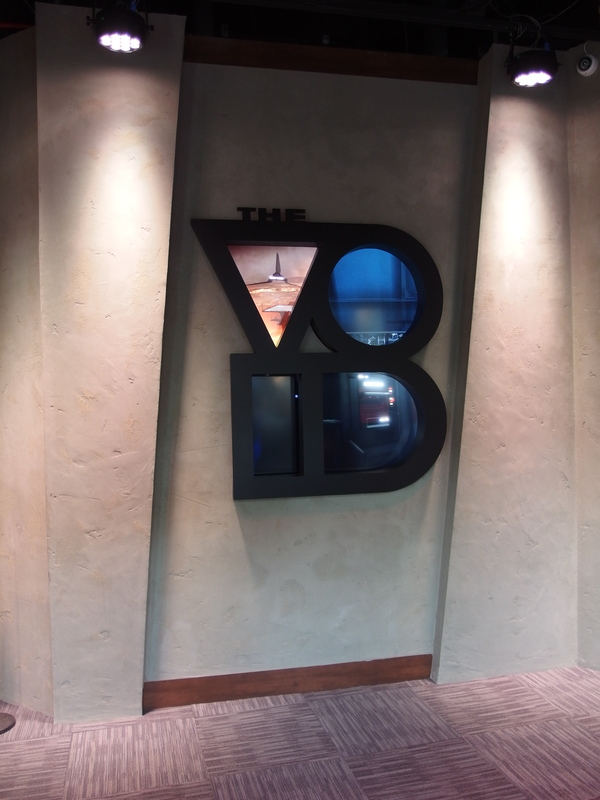 CEO Cliff Plumer and CCO Curtis Hickman represented The VOID. Before the ribbon cutting, there was an inevitable visit from a group of stormtroopers. 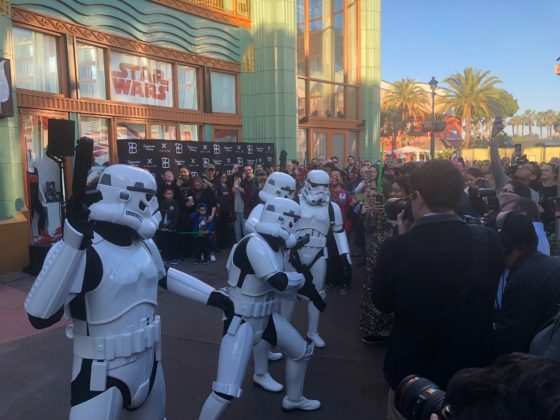 The quartet threatened the crowd before finding at least one suspected rebel. 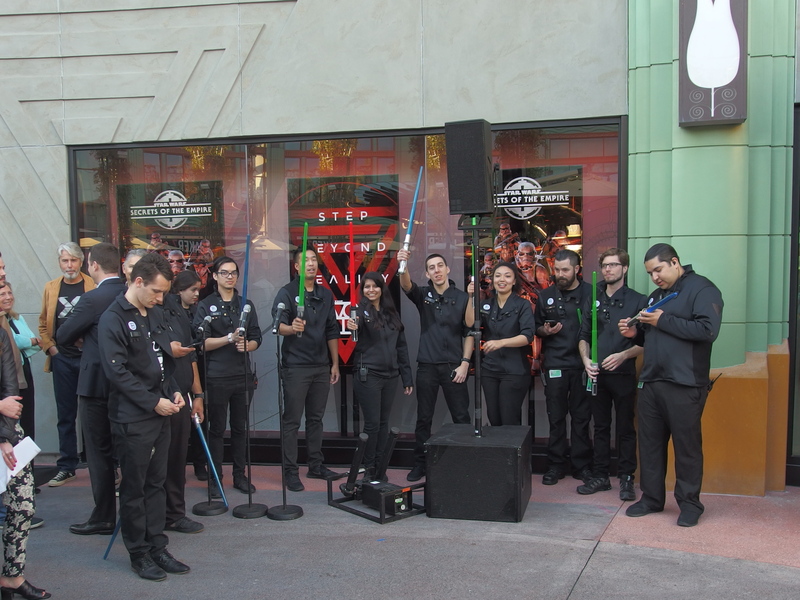 Fortunately, most guests had been equipped with lightsabers, so the confrontation was kept to a minimum. Immediately following the ceremony, a large group of creative personnel and executives gathered for photos. Secrets of the Empire is a hyper-reality experience. 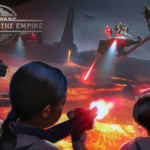 While some aspects are familiar, the overall experience is a unique combination. 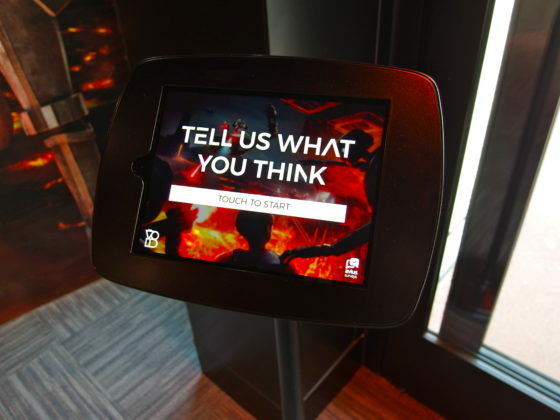 Guests will not only see and hear what is happening but also engage in other ways as well. 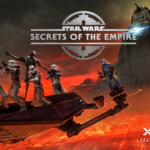 The premise of Secrets of the Empire will be familiar to fans of the Star Wars films. Guests are dispatched through the experience in teams of up to four. Shortly after registering and receiving a coded wristband, teams are briefed, with the type of exposition that is usually related a little over halfway through the average movie. In this case, the group is needed to help recover a container that is being held by the Empire. 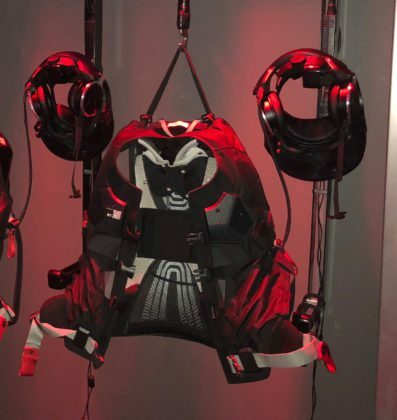 A tracking device has been placed, and the team, disguised as stormtroopers, will locate it after shuttling to an Imperial facility on the planet Mustafar. Following the briefing, guests suit up, receiving vests and helmets. 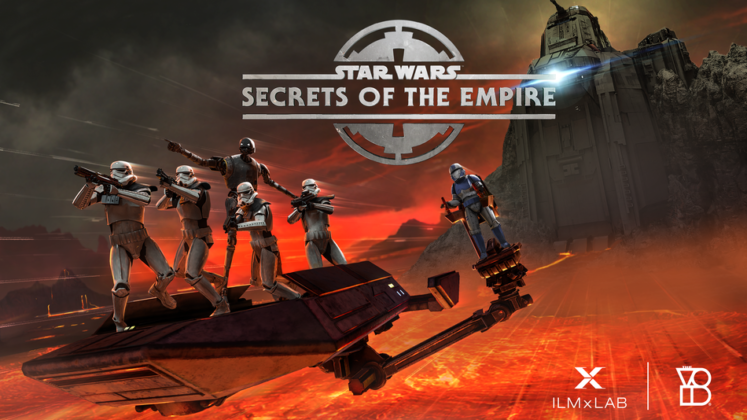 Once goggles and ear pieces are in place, virtual reality is augmented with sets that lead the group through a series of environments, while avoiding pitfalls and battling with Imperial troops. 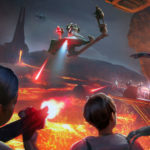 While gliding over the surface of Mustafar one can feel the heat. There are seats in the shuttles, doors that need to be opened, and blasters that can be picked up and carried from room to room. Some of the sights are familiar, as are some of the characters encountered along the way. 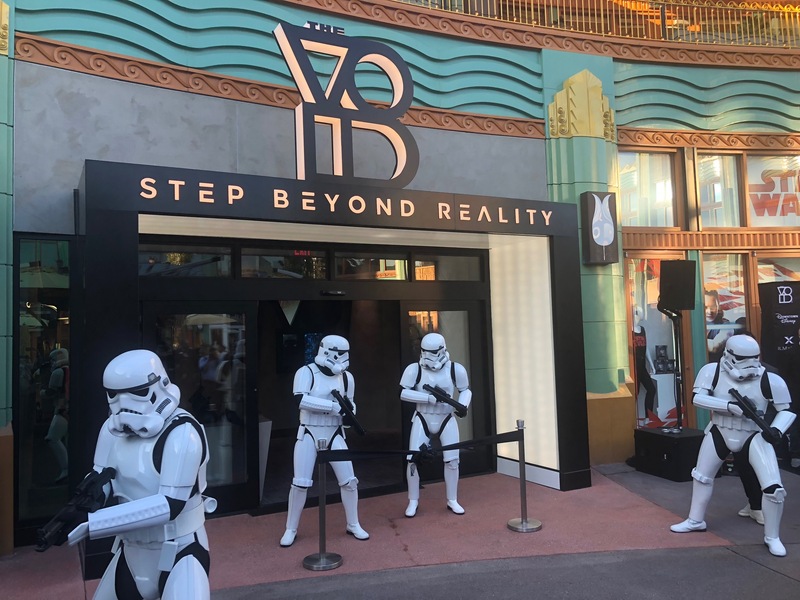 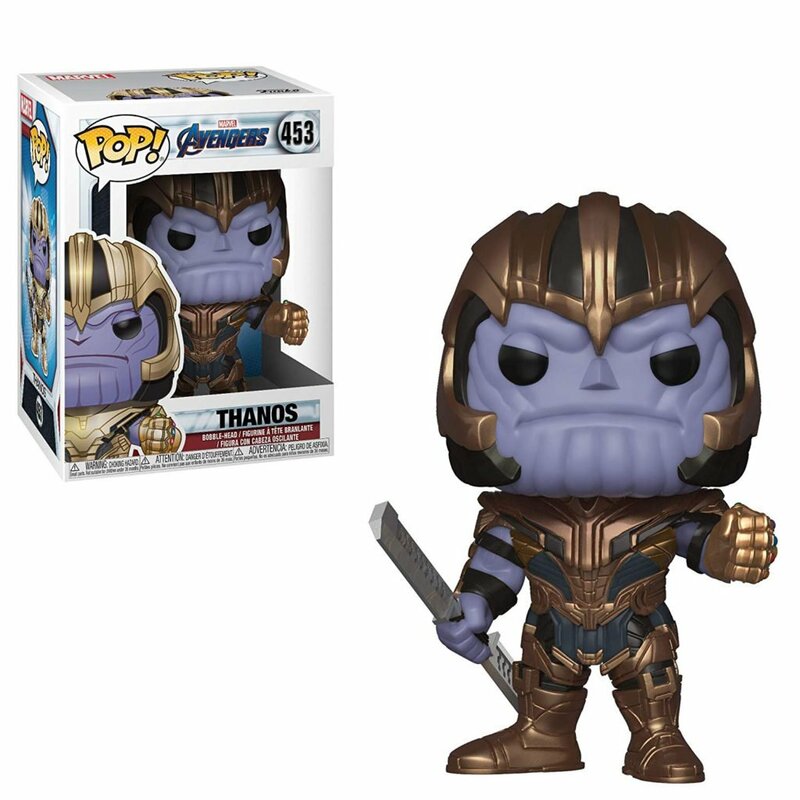 And, of course, we do learn the contents of the container, but only after a very close encounter with an iconic villain. 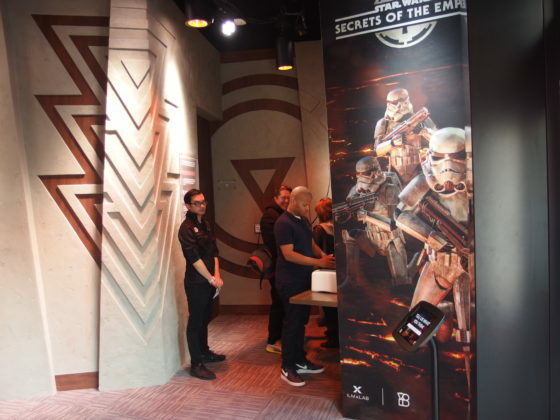 Admission for Star Wars: Secrets of the Empire is $29.95 per person, although handling charges makes it a total cost of $32.80. 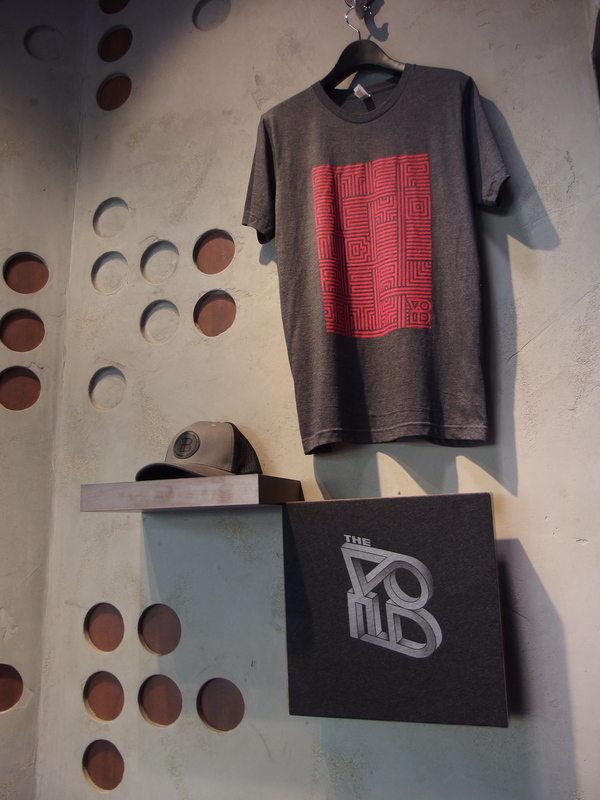 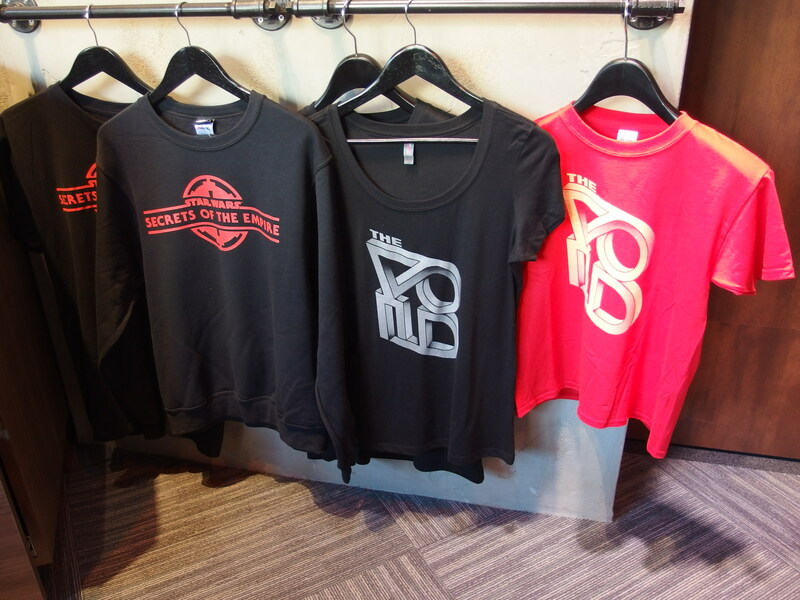 There is a small selection of souvenirs available in the lobby ticketing area. 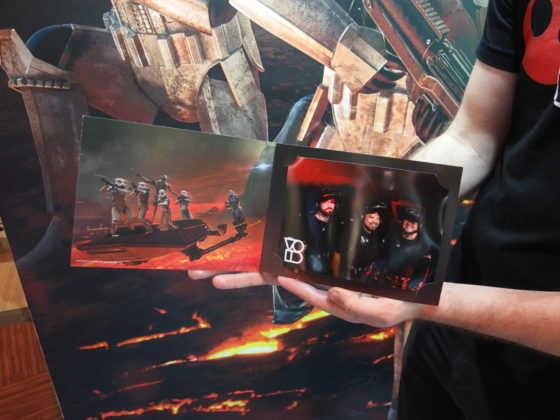 Guests are also offered an option to purchase a photo in souvenir folder for $15.00, which includes a digital download.